If you're a gamer, one of the key advantages of Windows 7 is DirectX 11, Microsoft's latest-gen graphics tech. It's the successor to DirectX 10, Microsoft's home grown API for software developers to interact with graphics hardware. DirectX 11 is available to users on both Windows Vista and Windows 7 and is supported by the latest generations of graphics cards from both AMD and Nvidia available on Dabs.com. DirectX 11 boasts big advantages when it comes to the GPU pipeline and, what's more, the new technology won't break the bank and decent cards are available for less than £100 on the site. 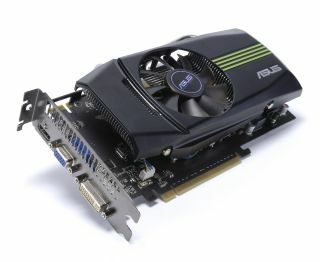 The GTS 450 is the latest card from Nvidia's DX11 graphics stable. Coming hot on the heels of the superlative GTX 460 this new card has got a lot to live up to, while there's also competition from AMD's HD 5770 too. With the release of this latest GF106-based card, the GTS 450, Nvidia is tackling the mid-range with its lowest-priced Fermi card yet. Nvidia has pedigree in this area - the likes of the 6600GT and especially the phenomenal 8800GT have been close to the heart of many a PC gamer. And, what's more the GTS 450 is available from less than £90 from Dabs.com. And when you drop a couple of these cards into an SLI setup you're talking about a system which will happily dish out a good thrashing to Nvidia's own GTX 480 and AMD's top card, the dual-GPU HD 5970 too. But Nvidia won't have everything its own way – AMD has had the sub-£150 graphics card market sewn up for a good while. This area sees some of the biggest sales of graphics cards and the HD 5770 is a particular favourite here. But Nvdia's GTS 450 is certainly a serious competitor. The AMD Radeon 5770 cards have received mixed reviews but it certainly packs in a huge performance at a great price point – check out the full range of these cards at Dabs.com starting at £94.98! XFX has just released the single-slot card variant of the Radeon 5700 - Dabs.com has a special offer on two of the cards, so you can combine them for dual graphics card gaming power using CrossFire X.
Dabs.com has also teamed up with the EA Store this week to give away £2,000 worth of Game Downloads. All you need to do to qualify is spend over £200 on Motherboards, Processors, Graphics Cards, Hard Drives and Memory on dabs.com and you can claim. You can also get a free copy of Mafia II with any Nvidia GTX 465 or above, while you can also get a copy of Just Cause II or a free trial of StarCraft II: Wings of Liberty with any qualifying Nvidia card, too.